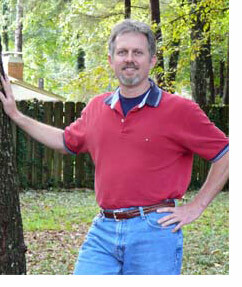 Hi, my name is Rick Dennis, owner of the Audio Bible website. I started selling audio Bibles on the internet back in 1998. I have always kept close to my original purpose which was to help God spread His Word to the ends of the Earth. God has allowed me to do things I never thought possible. I have managed to help over 74,744 people just like you purchase an Audio Bible. Calling 1-800-758-0160 between 9 a.m. to 9 p.m. EST you will most likely talk to a person not a machine. In 1998, I started with only 5 to 10 Audio Bible products, now I offer over 134 different Audio Bible products. I enjoy what I do and my experience allows me to be able to answer just about any question you might have. Some do not have time to read but do have time to listen, I think an Audio Bible is a great way for someone to hear the Word of God. I give a 60 day money back guarantee on all products because I want to make everything as stress free and easy as possible.